More spectacular savings have arrived for Cyber Monday. Black Friday 2018 has been and gone, but that doesn’t mean the sales have disappeared just yet. 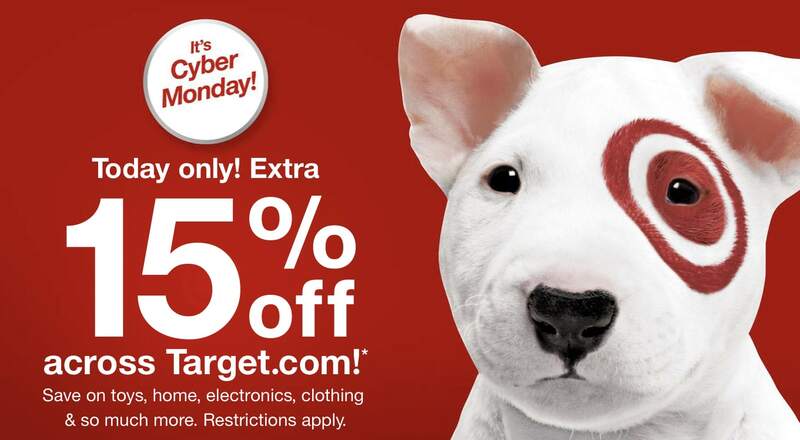 Cyber Monday is here to help you pick up big products at bargain prices. You won’t find the best deals at the Apple Store, but that doesn’t mean you can’t save a small fortune on Apple devices. Third-party retailers like Best Buy, B&H Photo, MacMall, and many more are offering big discounts on iPhone, iPad, Apple Watch, and Mac — as well as all the accessories you’ll want to go with them. There’s plenty of discounts on other tech, too. 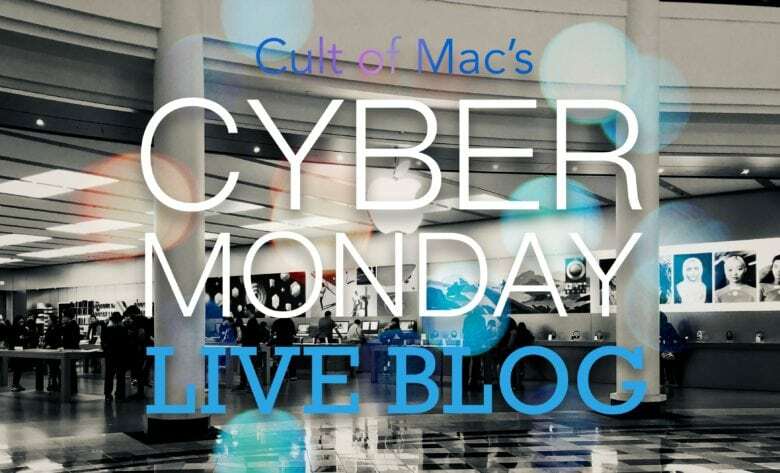 You’ll find some of the best deals right here in our Cyber Monday live blog — as well as some helpful tips on where to find more. All you have to do is bust out your credit card and shop! Finding Cyber Monday deals is easy. You’ve probably had a bunch of promotional emails delivered to your inbox already. But if you’re struggling, Cult of Mac is here to help. We’ll show you where to find discounts on Apple devices and other tech, and highlight some of the best deals in our live blog at the bottom of this page. Here are some of the retailers you should be sure to check out over Thanksgiving weekend. 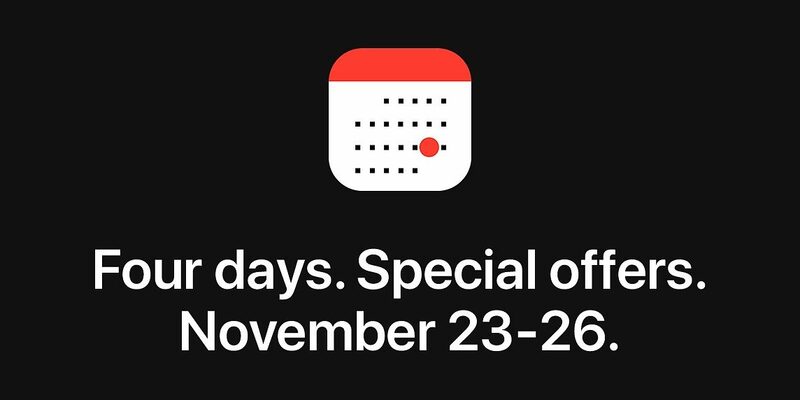 It’s rare that Apple discounts its products, but it is holding “four days of special offers” over Black Friday weekend, which will earn you a free Apple Store gift card worth up to $200 when you buy select products. Find more details below in the live blog. Amazon famously runs some of the best sales in retail, so it goes without saying that you should visit Amazon.com today. Whether you’re shopping for electronics, homeware, tools, or clothing, Amazon will be offering discounts on it all. Best Buy always offers great deals, and it has some big ones running for Cyber Monday, including hundreds of dollars off 4K TVs from the likes of Samsung and LG, laptops from Dell and Microsoft, and smart speakers from Amazon and Google. Best Buy’s sale began November 22 and runs through November 24, and you can take advantage of its discounts online and in-store. Costco’s Cyber Monday sale is also shaping up to be a big one. Its biggest discounts will be $1,300 off a four-door refrigerator from LG and $1,000 off a 4-person spa from Aquaterra, but you’ll also save hundreds on tech and electronics. Costco’s sale also started on November 22, but many of its discounts are good online only while supplies last. Lots of other retailers will offer big discounts on Apple devices and more over Thanksgiving weekend. We’ll be hunting down the best and we’ll include them all in our live blog below. Note: On some of these deals, Cult of Mac might earn a small commission through an affiliate link. However, we pick our Black Friday deals strictly on their potential value to our readers. If you thought Woot’s discounts on the 12-inch MacBook and 13-inch MacBook Pro were good, wait until you see its reduction on the 15-inch MacBook Pro. 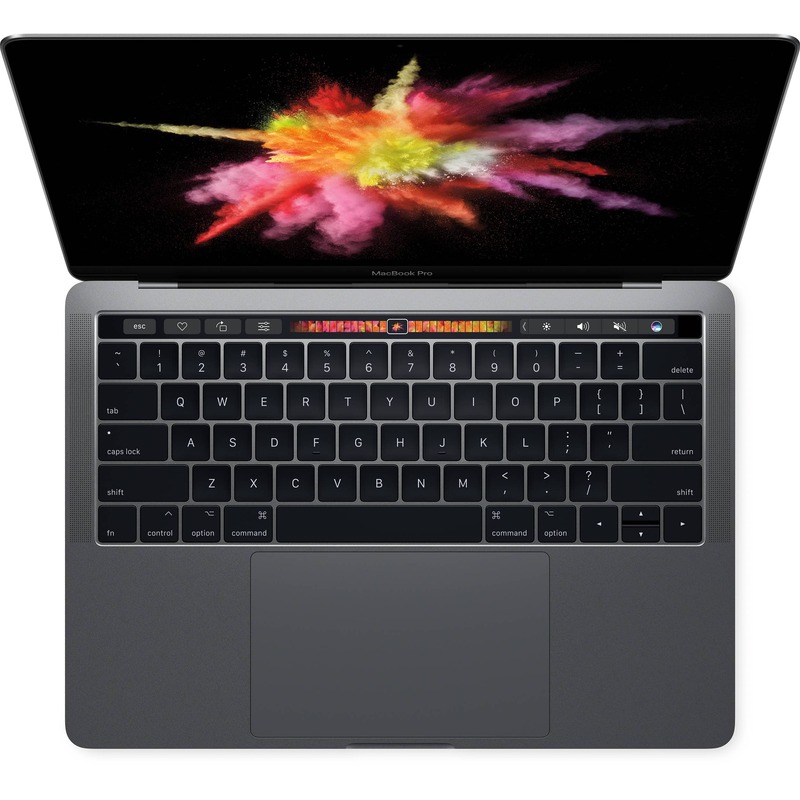 You’ll save $900 on the 2017 model with an Intel Core i7 processor, 16GB of RAM, 256GB of storage, AMD Radeon Pro 555 graphics with 2GB of memory, and a Touch Bar. Silver and space gray models are available. This discount is good for the next nine hours only, or until stock sells out. Get yours now for just $1,499.99. Target already discounted hundreds of products for Black Friday weekend, and for today only, you can save an extra 15 percent on (almost) everything across Target.com. That includes toys, kitchen and home care products, Christmas trees, and lots more. It also includes tech, but unfortunately for us, Apple products are excluded. Woot also has refurbished MacBook Pro units available with $600 off the original price. The 256GB costs $1,199.99, while the 512GB model is down to $1,399. 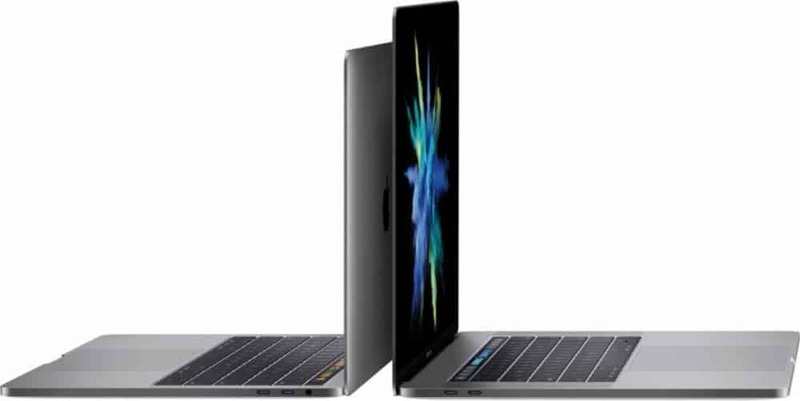 Both have Intel Core i5 processors clocked at 3.2GHz, 8GB of RAM, and a Touch Bar. The discount is available for the next 12 hours or until all stock sells out. 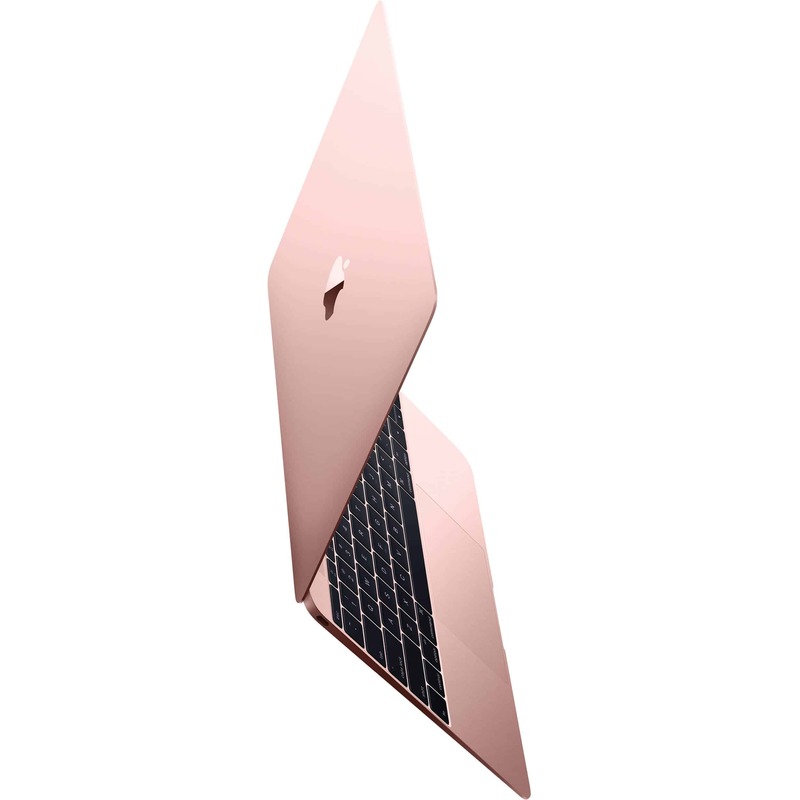 It’s rare that prices for the 12-inch MacBook drop below $1,000. But for the next 13 hours only, you can buy a refurbished model from Woot for just $799.99. They pack an Intel Core m3 processor, 8GB of RAM, and 256GB of storage — and they’re available in several color options. They will almost certainly sell out fast, so bag yours before it’s too late! If you need a Mac mini with a little more oomf, gets yours from Expercom instead. 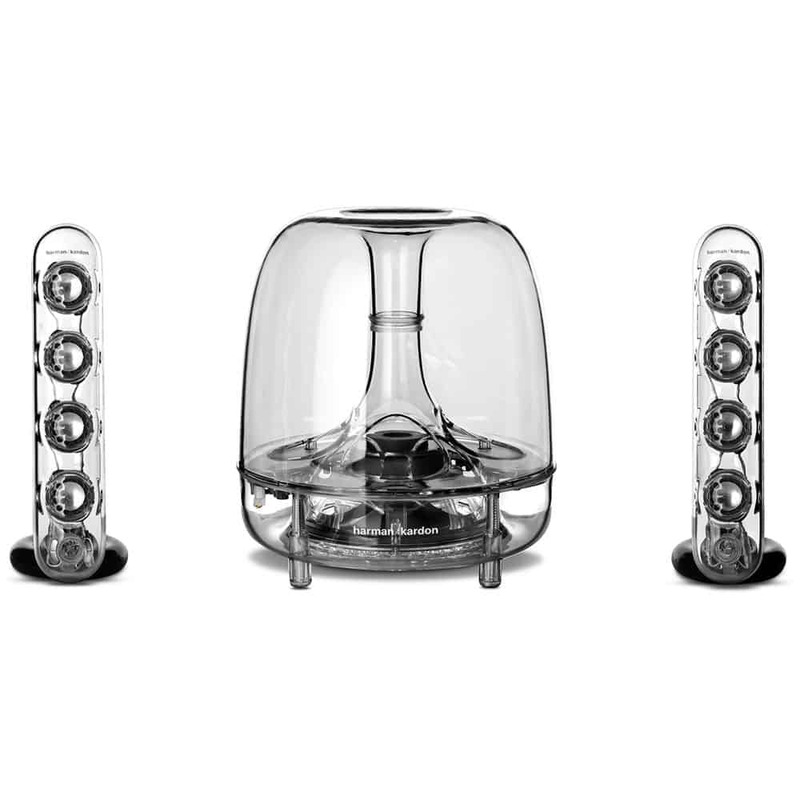 The Apple Authorized Reseller has knocked $291 off high-end models. You can get an Intel Core i5 processor, 32GB of RAM, and a 256GB SSD for $1,408. The Core i7 model with 32GB of RAM and a 512GB SSD is down to $1,808. 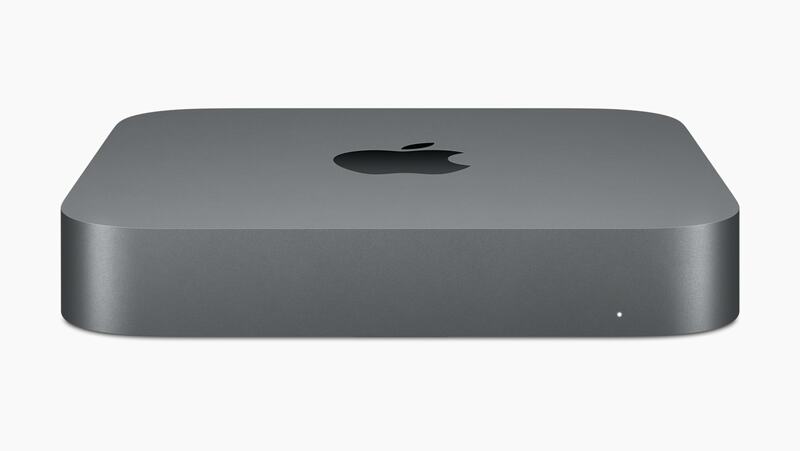 Apple’s new Mac mini has been out for less than a month and several retailers have already discounted its price tag. You can currently get the machine for $50 less at Amazon. This reduces the price of the entry-level model to $749. For that you get a quad-core Intel Core i3 processor clocked at 3.6GHz, 8GB of RAM, and 128GB of storage. 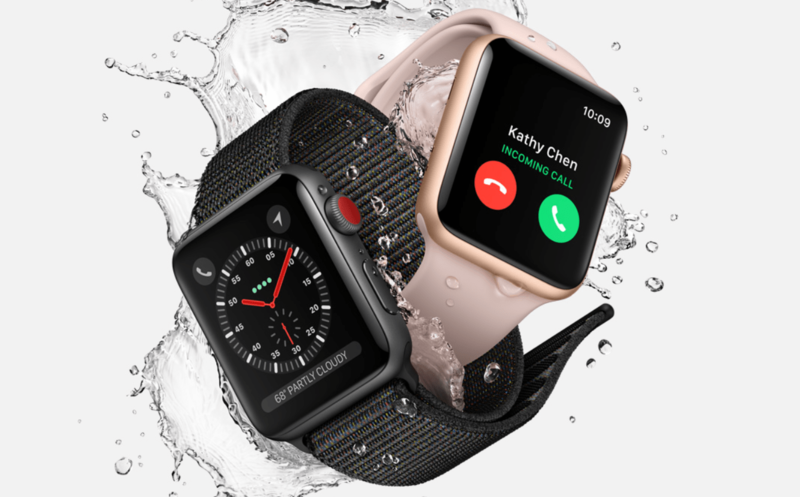 It’s a great time to buy an Apple Watch Series 3 with so many retailers offering big discounts on the device. Amazon is the latest to slash $80 off the 42mm model. This is the cellular version, which means you don’t need to be connected to your iPhone for full functionality, and it comes with an aluminum case and white sport band. 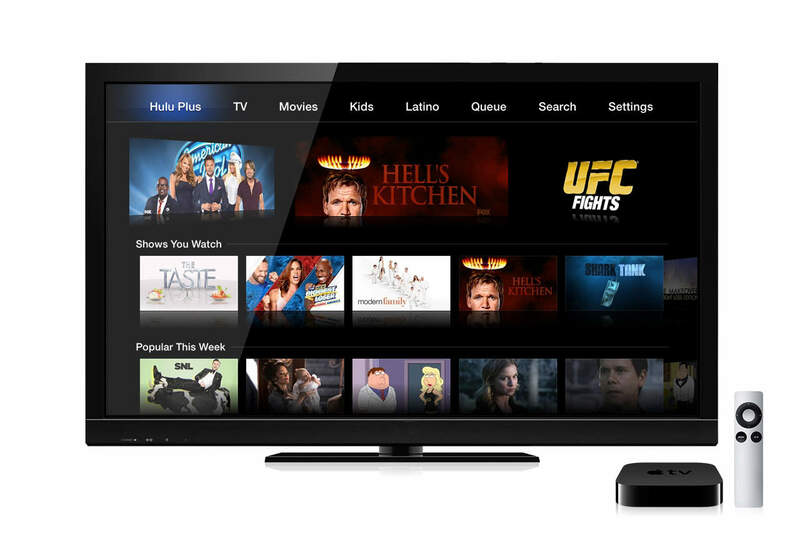 Get it today for just $329 — down from $409. 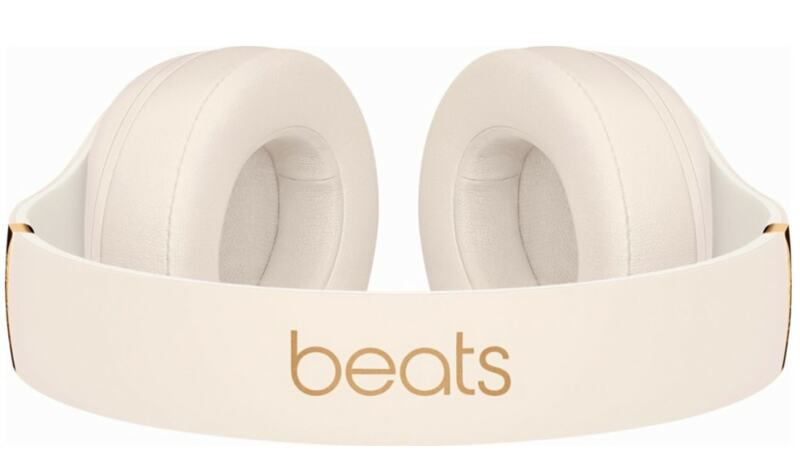 Beats Studio3 wireless headphones might be some of the best over-ear cans you can buy for under $200 — especially when you consider they usually cost $350. Get yours today from Best Buy in porcelain rose for the biggest saving. 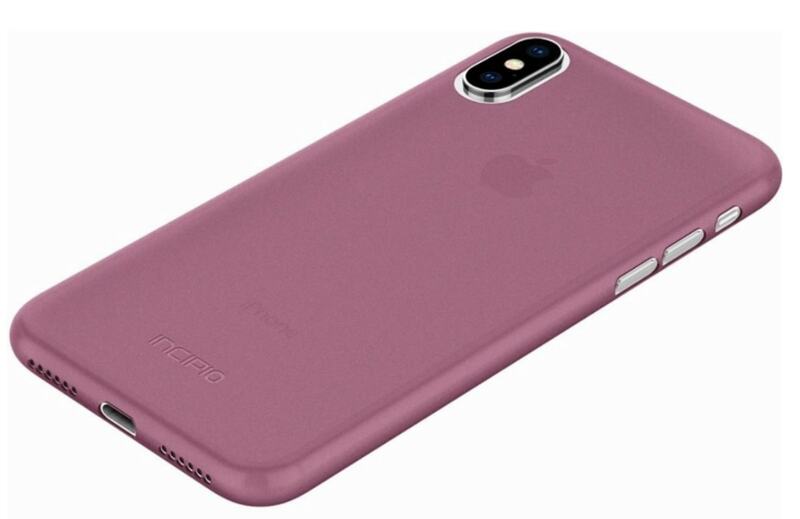 Other color options have been discounted by $70. 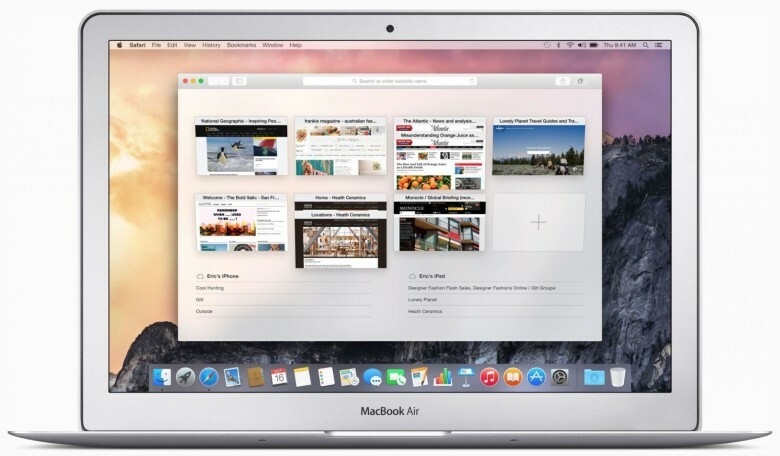 Best Buy has also slashed $200 off certain models of the 12-inch MacBook. Prices now start at $1,099.99 for the Intel Core m3 model with 8GB of RAM and 256GB of storage. Or you can pay $1,399.99 for an Intel Core i5 processor, 8GB of RAM, and 512GB of storage. 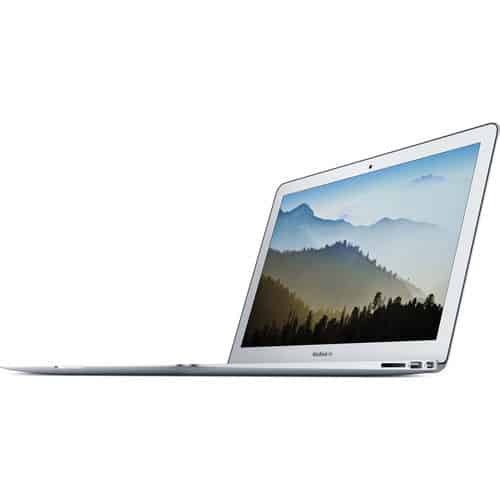 Find all the discounted MacBooks in one place by following the link below. 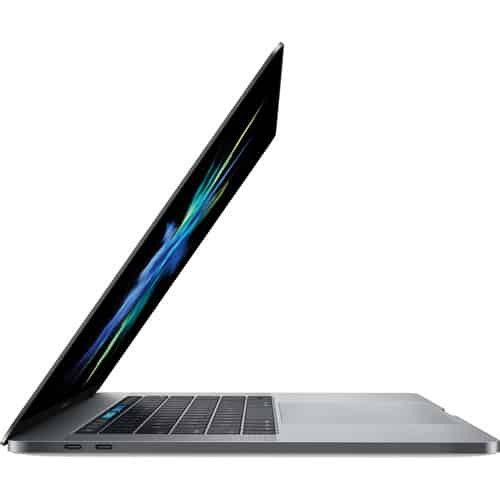 As we mentioned above, Best Buy has discounted a bunch of Apple products for Cyber Monday, including the 13-inch MacBook Air with an Intel Core i5 processor, 8GB of RAM, and 256GB of storage. Get yours today for $999.99 — down from $1,199.99. Ensure you have plenty of protection for your iPhone by picking up some heavily-discounted cases and screen protectors from Best Buy today. The retailer is offering 75 percent off select models from the likes of Nomad, Incipio, Adidas, Case-Mate, and more. Prices start at just $2.49, but these discounts are good for today only while stocks last, so act fast! Hulu is already a pretty sweet deal at $7.99 a month with limited commercials, but if you subsribe over Black Friday weekend, you’ll pay just $0.99 a month. No, this isn’t a month-long deal. It isn’t even a three-month deal. You’ll pay just $0.99 a month for a whole year! Simply subscribe through November 26 and choose the limited commercials plan. The sale ends on Monday, November 26, so be sure to bag your speakers before then. 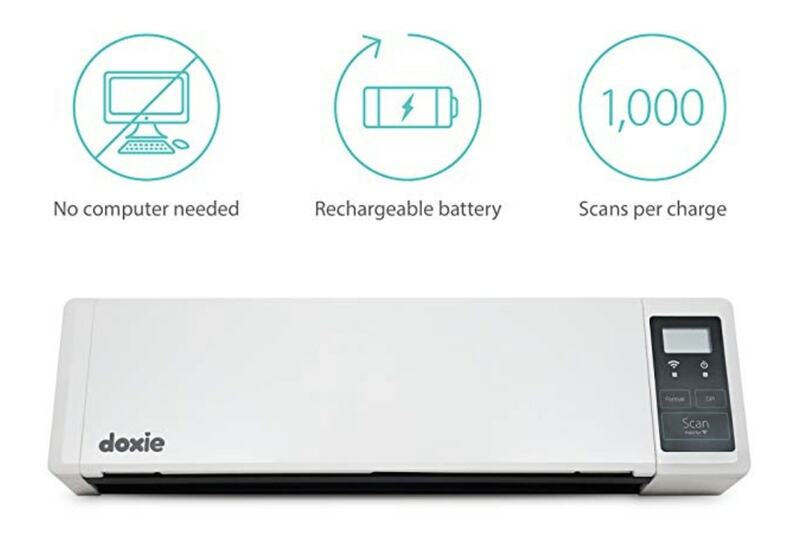 If you need to scan documents on the move, nothing beats Doxie’s mobile scanners. They promise quality results every time, as well as features like expandable storage, Wi-Fi syncing to your Mac or iPhone, and more. Flexibits is hosting the biggest sale in its history for Black Friday, with 50 percent off all its apps for Mac and iOS. You can pick up Fantastical 2 for Mac, iPhone, and iPad for just $29.97. That’s $20 less than the standard price of the Mac version alone. Cardhop for Mac is also down to $9.99 from $19.99. Prices go back up at 10 p.m. ET on November 27 so be sure to grab these awesome apps while they’re cheap. We’ve slashed prices on our own Watch Store for Black Friday, so you can save up to 50 percent on some of the sweetest Apple Watch bands and accessories. Bands from the likes of E3 Supply Co., Ottm, Rilee & Lo, Strapley, Survival Straps, ullu, Carterjett, and more are included in the sale — alongside the sweet HEDock charging stand. Find out more by following the link below. Apple’s Black Friday Shopping Event has started. Just as we suspected, it offers free gift cards rather than big discounts. But if you plan to buy several things from Apple over the holidays, it might just be a great deal for you. 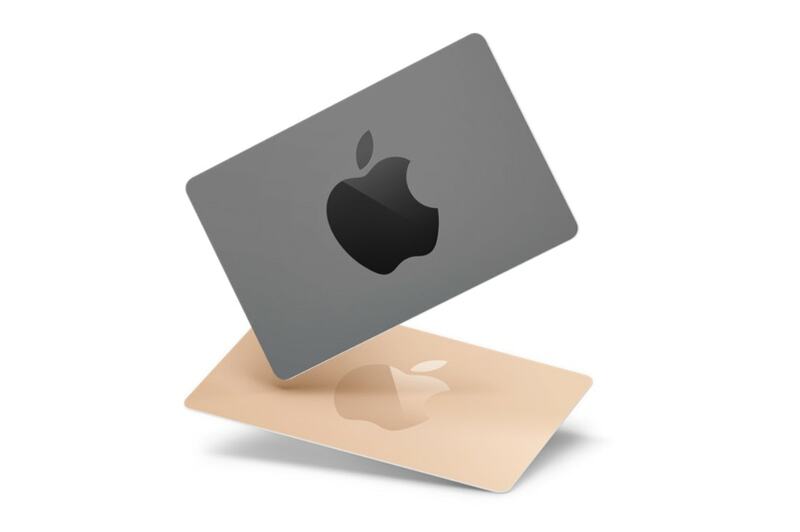 Follow the link below to find out more on the Apple website. 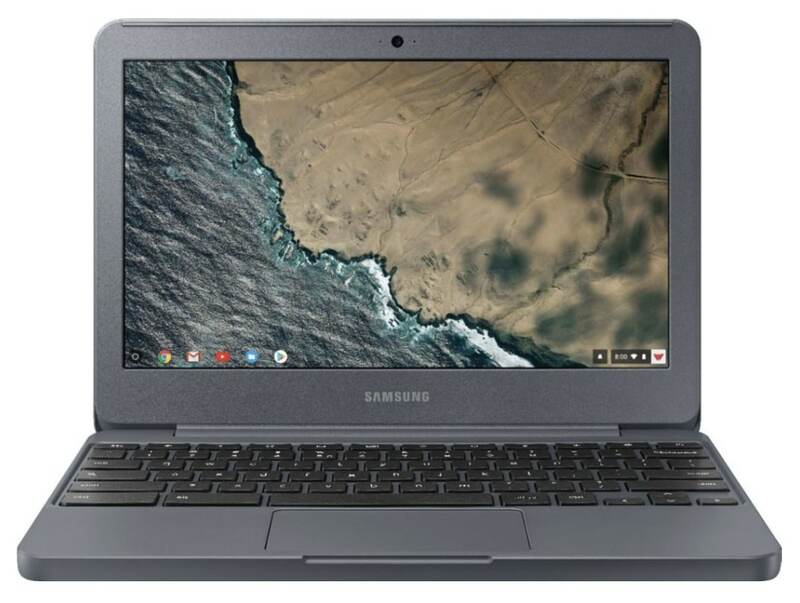 If you need an ultra-affordable notebook that will let you browse the web, stay on top of your emails, and more, the 11.6-inch Samsung Chromebook could be right up your street. It packs an Intel Celeron processor, 4GB of RAM, and 32GB of storage. And right now at Best But it’s down to just $129 after a $130 discount. B&H Photo has also slashed up to $350 off the Apple Watch Series 3. 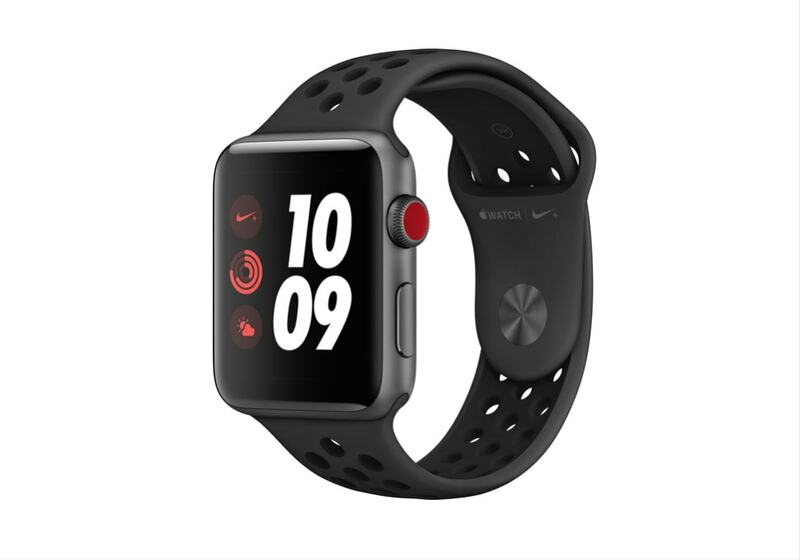 Prices start at just $299 for a 42mm model with a Nike+ Sport band and cellular connectivity ($110 off), while the 42mm stainless steel model is down to $429 ($200 off). There’s also a 42mm stainless steel option with a milanese loop band for $429 ($350 off). If you thought B&H Photo’s discounts on the MacBook Pro were big enough already, think again. It has slashed up to $1,000 off a number of 2017 models for Black Friday. 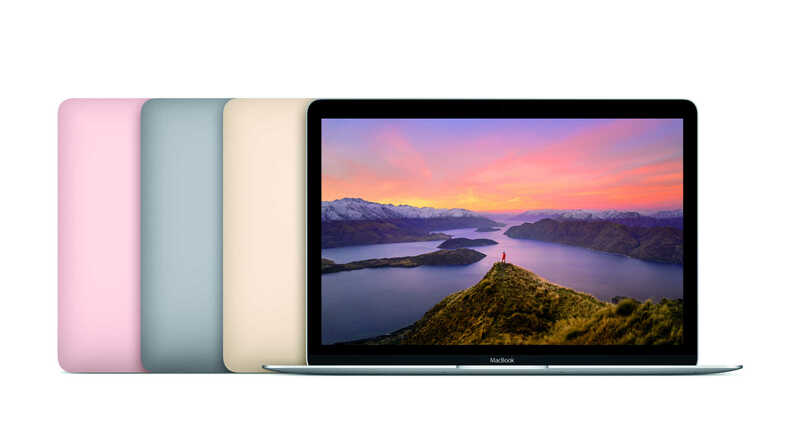 Visit the B&H deals page below to bag your new MacBook Pro before the prices go back up. 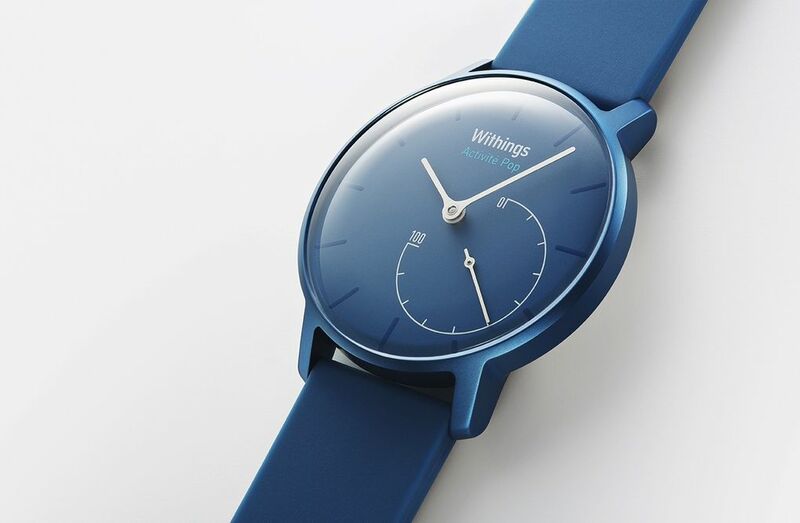 If you want your smartwatch to look like a more traditional wristwatch, you can’t get much better than the Withings Activite Pop. It looks just like an analog, but it’s smart enough to track all your workouts and sync the data to your phone over Bluetooth. It can even track your swims and monitor your sleep, and it lasts up to 8 months on a single battery. Bag yours today in blue from Mobile Fun for a measly $32.49 — down from $128.49. Treat yourself to a brand new iPad Pro today and save up to $50. 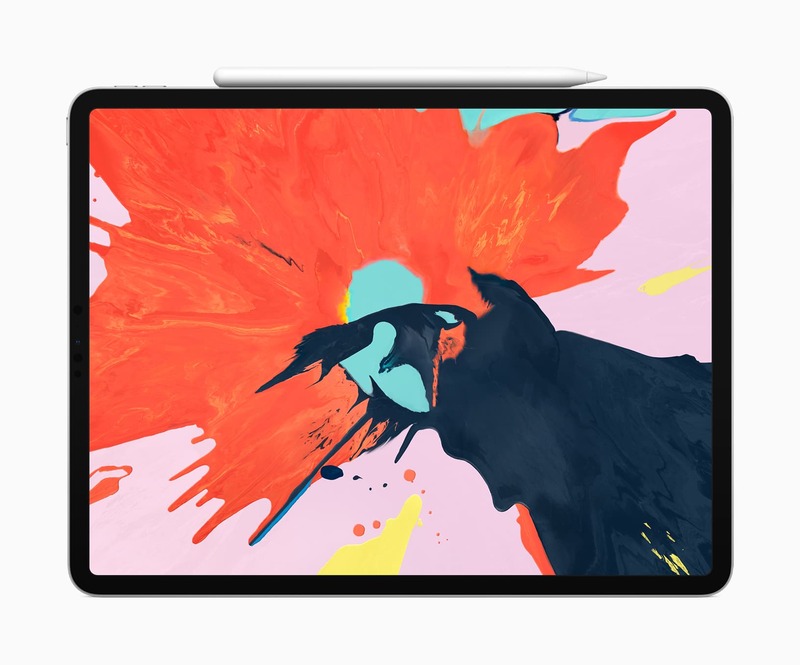 MacMall has reduced the price of all 11- and 12.9-inch models in Apple’s new 2018 lineup, so prices now start at $759 for a limited time. And as if that wasn’t enough, you will also get free shipping! Bag yours now before prices go back up. 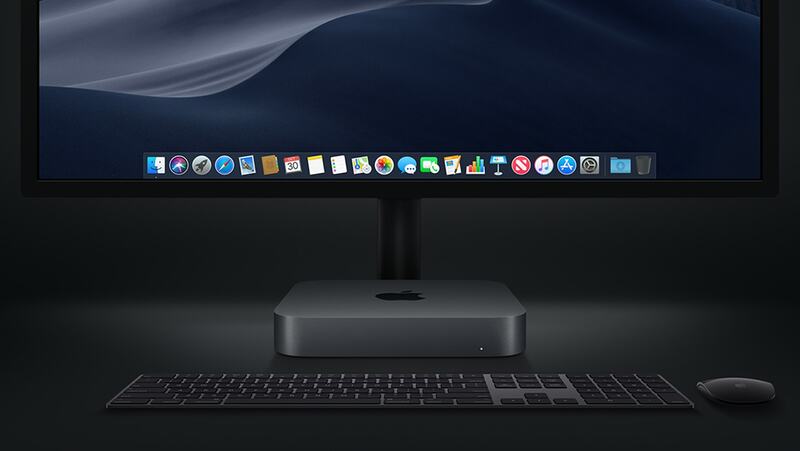 Apple just launched its most impressive Mac mini to date, with eighth-generation Intel processors, super-speedy flash storage, and the latest connectivity options. And you can already get $30 off yours at MacMall. For a limited time only, you’ll pay $769 for the Intel Core i3 model with 8GB of RAM and 128GB of storage. The same model will cost you $799 on the Apple Online Store. Follow the link below to bag yours before it’s too late! 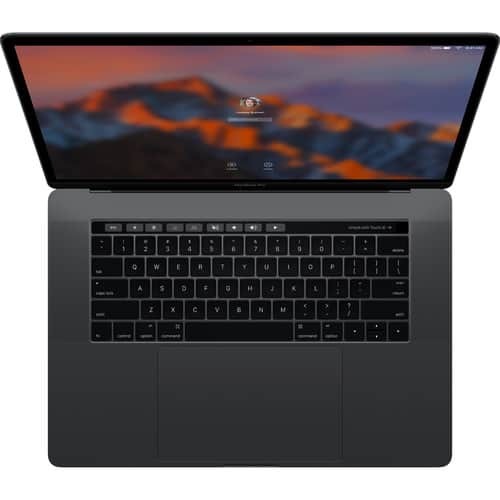 MacMall’s Deal of the Day saves you $150 on the latest MacBook Pro with Touch Bar. This model is decked out with an Intel Core i7 processor clocked at 2.6GHz, 16GB of RAM, 512GB of storage, and AMD Radeon Pro 560X graphics for $2,649. Get your game on over Thanksgiving weekend with big discounts to be had on the Xbox One and PS4 at Best Buy. The retailer has a bunch of console bundles on offer with games like Spider-Man, Fortnite, Battlefield V, and Shadow of the Tomb Raider included. There’s even a couple of PlayStation VR bundles you will almost certainly want to take a look at. Follow the link below to find all the discounted consoles in one place. Not everyone you buy for this Christmas will be an Apple fan. For those who prefer Windows, Best Buy has a range of laptops and all-in-ones with up to $500 off for Black Friday. You’ll find machines from HP, ASUS, and Dell, and prices starting at as little as $119.99. Follow the link below to find all discounted models in one place. 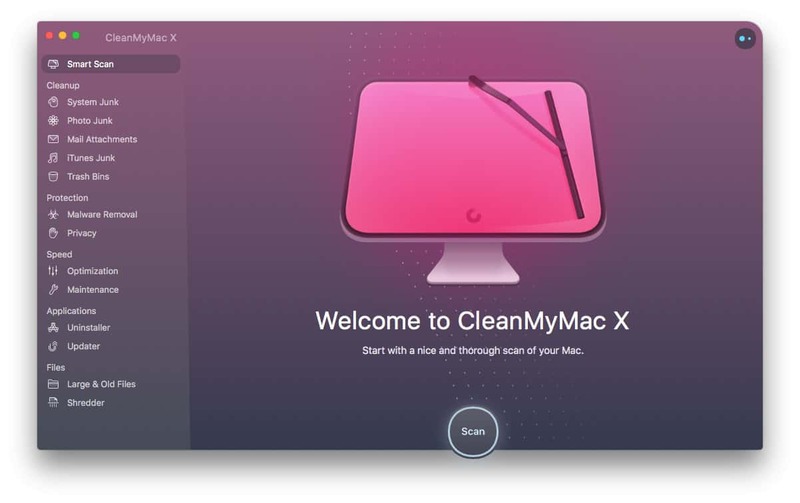 We’ve written about Readdle apps countless times on Cult of Mac. That’s because they’re some of the best productivity apps money can buy. And you can get them with a generous discount for Black Friday! 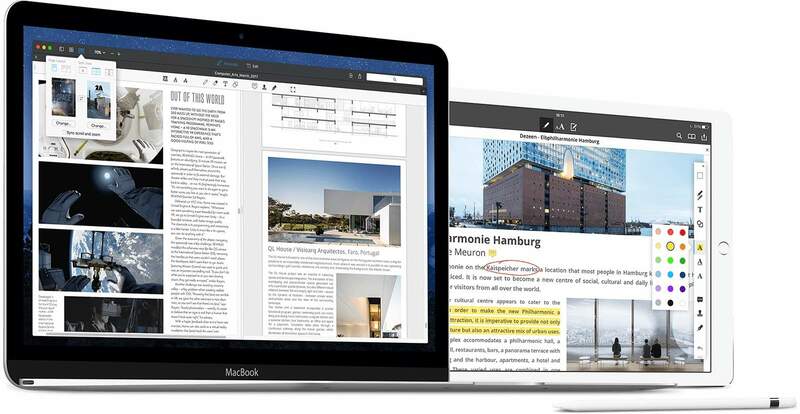 PDF Expert for Mac, which was awarded App of the Year and Editor’s Choice by Apple, has had its price tag cut by 40 percent to $49.99. The Black Friday Bundle for iOS, which includes Scanner Pro, PDF Expert, Calendars 5, and Printer Pro, is now 50 percent less at $16.99. Follow the link below to buy it before the price goes back up on November 26. 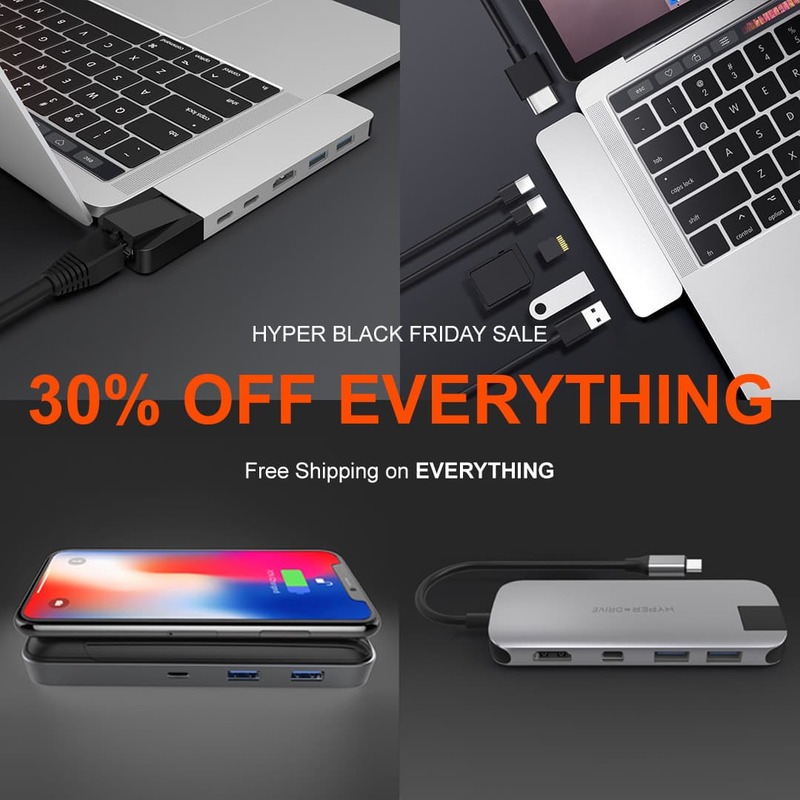 Deck out your Mac with essential accessories, pick up a new USB-C hub for your iPad Pro, or use your iPhone for a whole weekend with a power bank from Hyper. You’ll save 30 percent on everything and enjoy free shipping on everything over Thanksgiving and Black Friday. Some of its devices have a whopping 60 percent off. Follow the link below to bag a bargain today! This sale kicks off at 8 a.m. GMT on Friday, November 23 and ends at 8 a.m. GMT on Saturday, November 24. Follow the link below to find all discounted apps in one place. Black Friday is always a good time to treat yourself to a brand new TV. 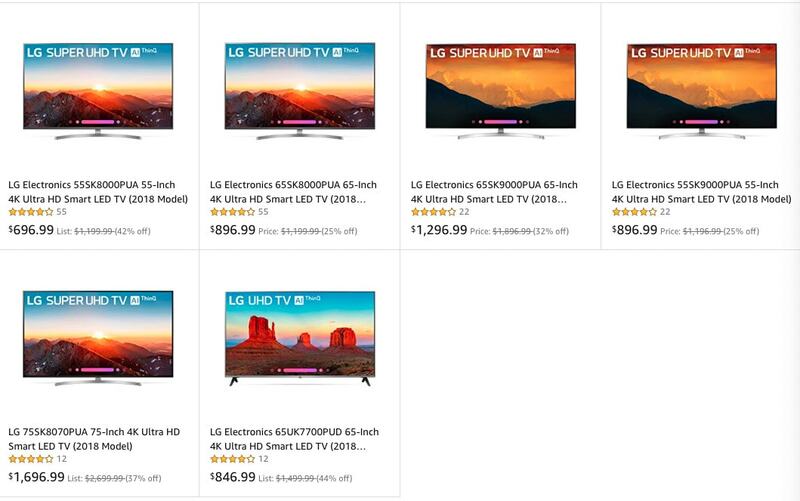 If you want the very best on offer, see Amazon’s sale on LG’s latest Ultra HD sets. You can save up to 44 percent on 55-, 65-, and 75-inch models. Prices start at just $696.99. If Apple Watch is a little too pricey for you, or you prefer watches with a round face, check out the excellent TicWatch lineup. The TicWatch E and TicWatch Pro offer everything you could want in a smartwatch, including bright and beautiful OLED displays, fitness tracking, and all-day battery life. They also offer thousands of Android Wear apps. 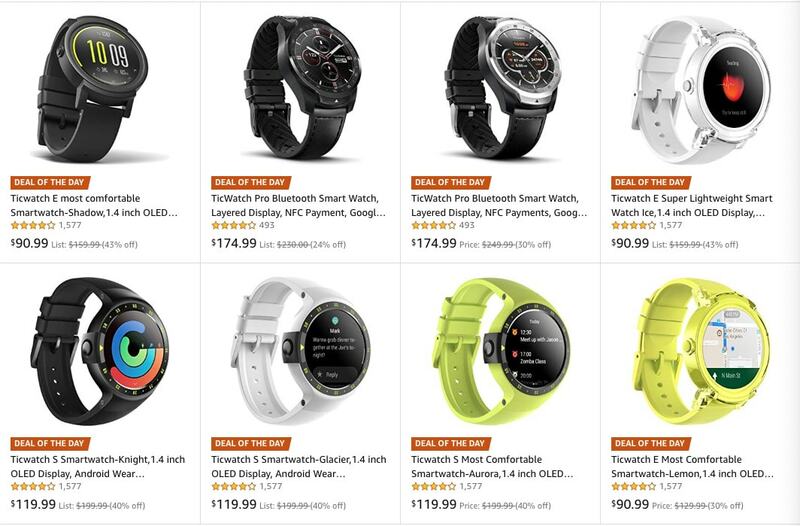 Amazon’s Deal of the Day reduces the TicWatch E to just $90.99 (down from $159.99) and the TicWatch Pro to just $174.99 (down from $230). Bag yours before it’s too late! Brydge’s brilliant keyboards turn your iPad into a mini MacBook. They’re made out of durable aluminum that’s built to last, with all the keys you’ll ever need. Buy yours between November 22 and November 26 to save $20 on the 12.9-inch iPad Pro model, $30 on the 10.5-inch iPad Pro model, and $10 on the 9.7-inch iPad model. You can also save 20 percent on cases and screen protectors, and 40 percent on portable batteries and cables. 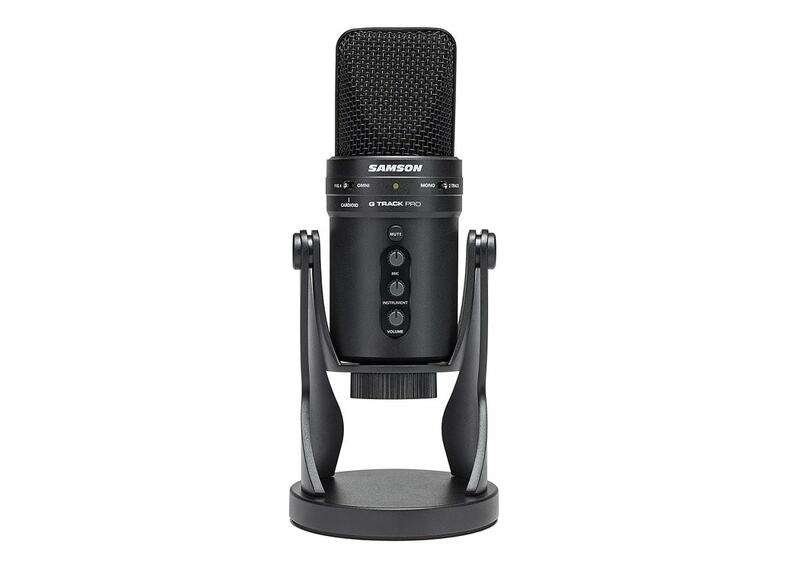 Add Samson’s G-Track Pro Multi-Pattern USB microphone to your setup for professional-quality audio. It delivers 24-bit sound with zero-latency monitoring, three selectable pickup patterns, and a built-in mixer with independent mic and instrument volume controls. The G-Track Pro is usually priced at $149.99, but you can get yours on Amazon from November 21 to December 31 for $129.99. Pad & Quill’s handcrafted accessories are a beautiful match for your Apple devices, and from 9 a.m. on Thursday, November 22, you can save 25 percent on everything! That includes its leather Apple Watch bands, iPhone and iPad cases, and bags. Simply use the code BF18 at checkout when placing your order. We did say that you might as well avoid Apple on Black Friday, but we may have been wrong. The company just confirmed it will be holding special offers for four days from November 23 to November 26. We don’t know what those offers will be yet — Apple doesn’t give us any teasers — but it’s probably worth checking them out. We still believe you’ll find better deals elsewhere, but you never know. Follow the link below to visit Apple’s new Black Friday landing page. You can add the event to your calendar so that you don’t forget about it if you wish. 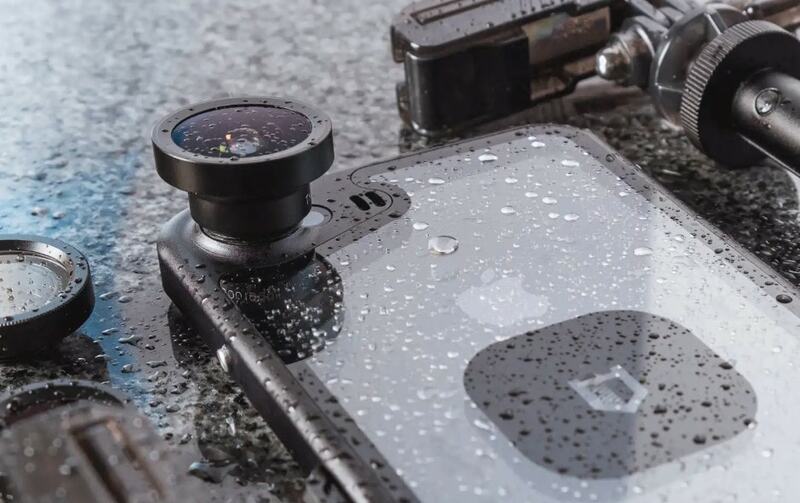 Hitcase makes some of the most durable iPhone cases money can buy — as well as some terrific smartphone camera lenses. Its Pro and Enduro collection are ideal for adventurers. Get your accessories from Hitcase.com between November 22 and November 27 to save 25 percent on everything. These will be the lowest prices Hitcase has offered this year — just remember to use the code YOUSAVE25 at checkout. Grovemade, designer of handcrafted accessories for iPhone and other devices, is cutting 20 percent off all its products over Black Friday weekend. 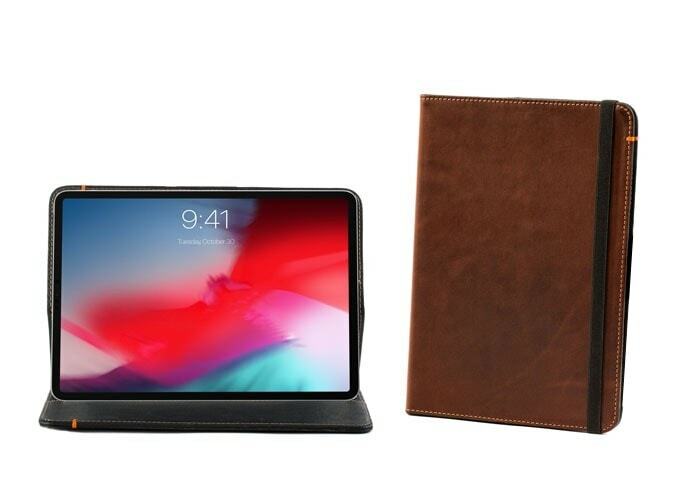 You can save on its gorgeous iPhone cases, its wooden wireless charging pads, beautiful leather Apple Watch bands and MacBook sleeves, wallets, belts, knives, and more! Visit the Grovemade website between November 23 and November 25 to get 20 percent off all every day carry products, and between November 26 and November 27 to get 20 percent off all desk products. 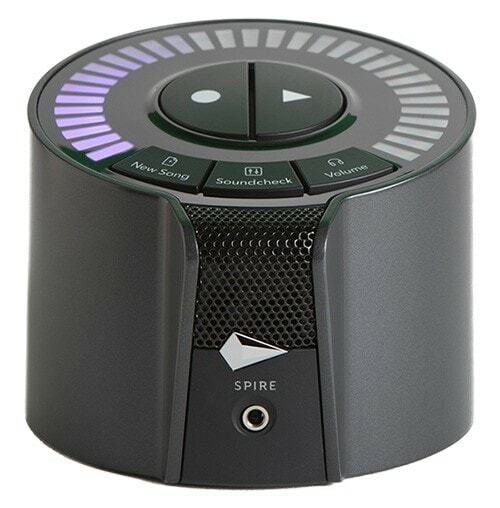 Stick a music studio in your pocket with the incredible Spire Studio system. This portable device lets you record studio-quality sound without the hassle of cables, and it takes seconds to set up. You can instantly edit, mix, and share your latest tracks between Spire Studio and the free companion app for iOS. Usually priced at $349, Spire Studio will be available for just $299 between November 22 and November 26. Other Spire products will be available at 50 percent off. 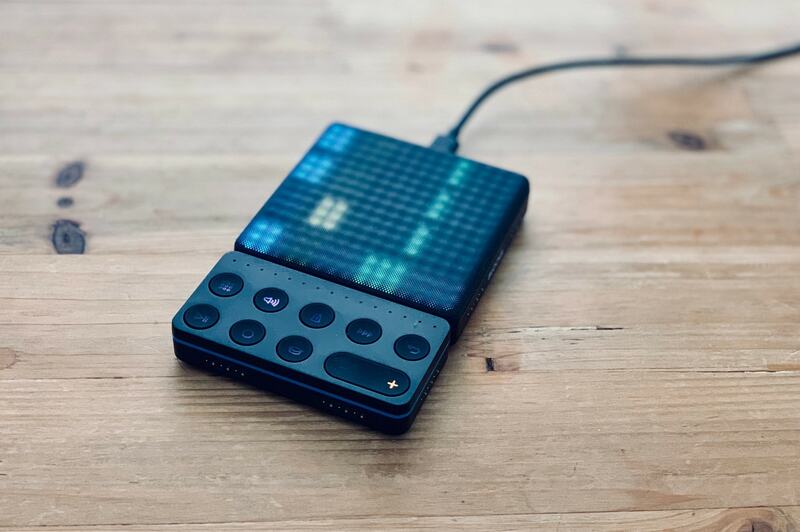 Roli makes some of the best music accessories for Mac and iOS devices, and many of them will be available for 20 percent less over Black Friday. The discounts will be available from November 21 to November 27 on Roli.com. Just follow the link below to start shopping! Sonos is slashing prices on several of its speakers for Black Friday. The popular Sonos One, which rarely goes on sale, will be marked down to $174 from $199, while the Beam sound bar will be down to $349 from $399. 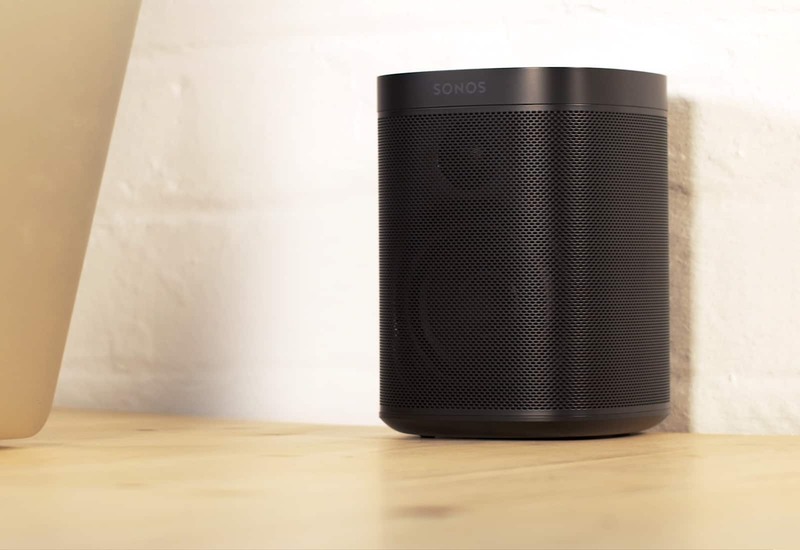 Its biggest discount will be on the Sonos Sub, which will be down to $599 from $699. These discounts will be live from November 22 to November 26, and you’ll find them on the Sonos website and through third-party retailers like Amazon. Buy a new iPhone from Target from 5 p.m. on November 22 and you’ll receive a free gift card worth up to $250. You’ll need to activate your new device with a 24-month plan from AT&T, Sprint, or Verizon. 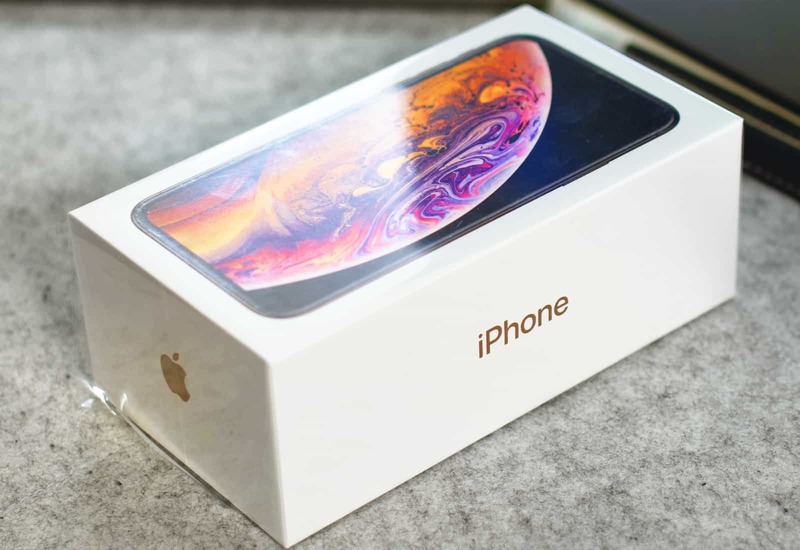 Buying an iPhone XS or iPhone XS Max will earn you $250, while an iPhone X, iPhone 8, or iPhone 8 Plus will earn you $150. That’s a big discount on your holiday shopping! A new Apple Watch doesn’t have to be expensive. From 5 p.m. on November 22, you can pick up the Series 3 model with GPS from just $199 at Target. That’s $80 off the normal price. Both 38mm and 42mm models will be available with a variety of bands. Just be sure to bag yours before they’re all gone! Apple’s newest MacBook Air might be too pricey to gift this Christmas, but you can pick up its predecessor for under $800 at Best Buy from November 22 through November 24. 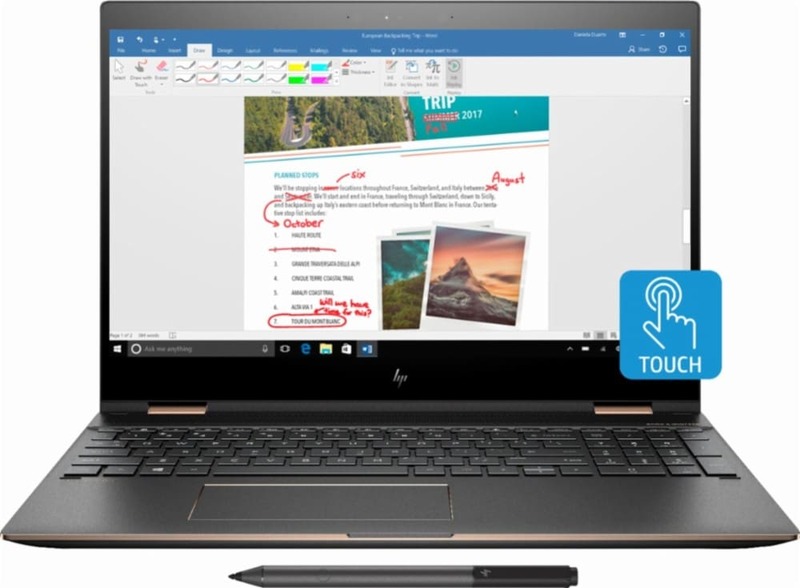 This 13-inch model offers an Intel Core i5 processor, 8GB of RAM, and 128GB of super-speedy flash storage for $799.99. Snag Apple’s latest all-in-one for under $900! 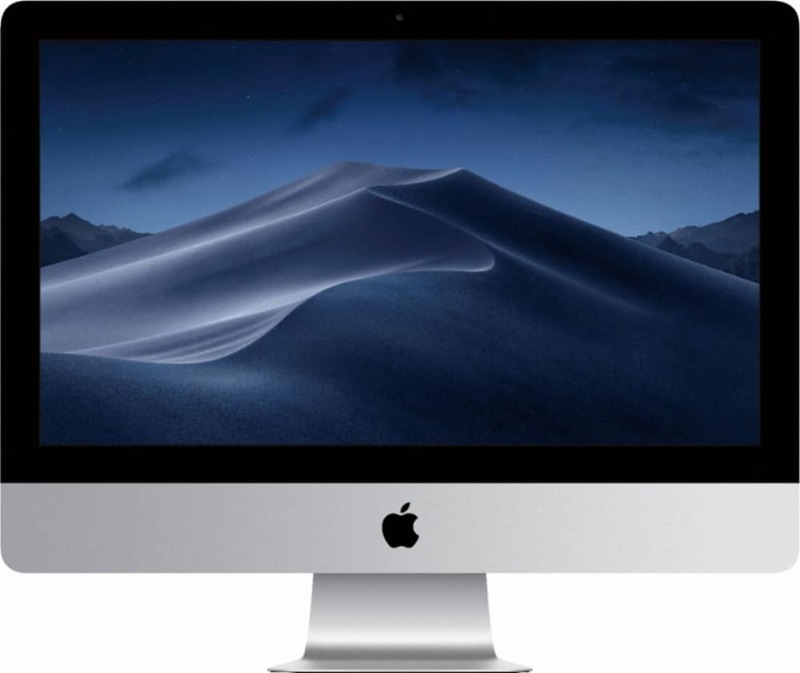 Best Buy will slash $200 off the 21.5-inch iMac for Black Friday, reducing its price tag to just $899.99 for a limited time. This model packs an Intel Core i5 processor clocked at 2.3GHz, 8GB of RAM, and a 1TB hard drive. Apple’s latest Magic Mouse and Magic Keyboard are also included. The Amazon Echo Dot is the ultimate holiday stocking filler. 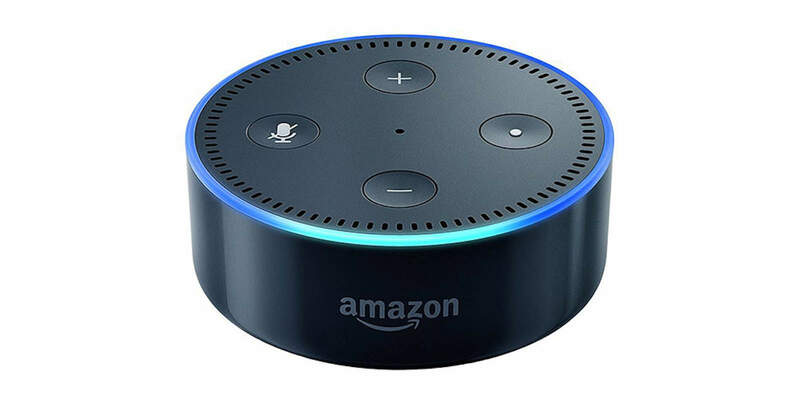 Not only is it affordable, but it’s one of the best smart speakers money can buy, with more than 30,000 Alexa skills on offer. Get yours from Best Buy between November 22 and November 24 and you’ll pay just $19.99 for the second-generation model. That’s $20 off the usual price! 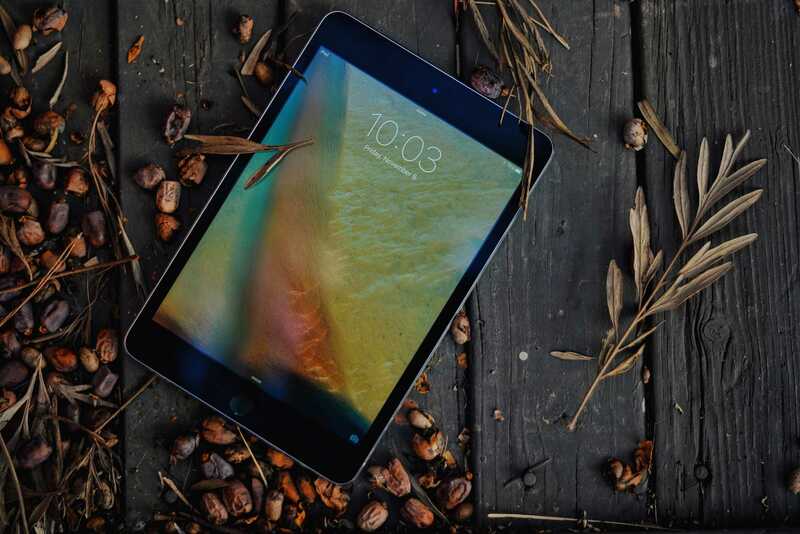 The iPad mini is still very much alive and kicking, and with iOS 12, it’s better than ever. Pick up the latest, fourth-generation model with 128GB of storage for just $249.99. This Black Friday deal cuts $150 off the regular price. You can take advantage of it at Best Buy from November 22 through November 24.